Leeds Empties is a social enterprise which works with owners of empty homes to bring them back into use. We are funded by Leeds City Council – and work alongside their Empty Homes Team to offer intensive support to owners of empty homes in Leeds – 90% of which are privately owned. whilst the infographic http://www.leedsempties.org.uk/national-empty-homes-week-1st-5th-december/ tells the story of the 85 homes we helped to bring back into use last year. We recently secured £5,000 from the Technology Strategy Board to help us to explore how open data could help us to be more effective in bringing empty homes back into use. 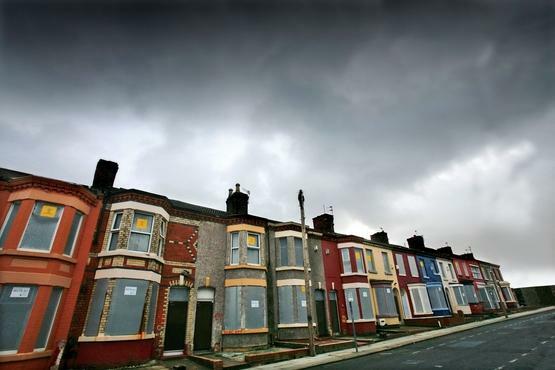 There’s currently data on Leeds Data Mill about empty homes – specifically empty homes that are owned by Limited Companies. We’ve written about this previously. We’re interested in exploring whether we could access other sources of data to help us to get better at what we do. Specifically, we want to see if we can quickly gather open data which would help an empty home owner make an informed decision about what to do with their home. As part of our support to empty home owners, we produce an Empty Homes Doctor report which includes information on the local housing market. So it’s likely to include information on recent house sales, rentals, most active estate agents and letting agents, and other relevant information, such as, for example, whether there is strong demand locally for student housing. We gather this information online, and through talking with people in our network who can help. Each time that we produce an Empty Homes Doctor report it probably takes us about an hour to gather and present this information. With the £5,000 funding we’re exploring how we can improve this process. We want to explore whether there are any other open data sets out there which will provide relevant information, both for us and the empty home owners that we work with. Then, we’d like to explore how we can make this data-gathering process easier, and quicker. Our starting point is that we’d like to type a postcode into a webpage – so that (magically!) lots of relevant open data is brought together in one place. That would make the process a lot quicker – so that we could respond more quickly to empty home owners. This, in turn, would mean we could continue to expand. Crucially, it would also mean that we’d find it easier to expand into other cities. Whilst we have a lot of local knowledge and contacts in Leeds, we won’t have the same knowledge and contacts in other cities. So a quick, efficient way to gather relevant data – which we can then share with an empty home owner – would be very helpful. Tom Forth (https://twitter.com/thomasforth) and Nick Jackson (https://twitter.com/jacksonj04 began work this week on the project at ODI Leeds – and we’re planning to have something that we can use in the next couple of months. We’ll let you know how we get on.